Improves ease of donning and removal for increased compliance. 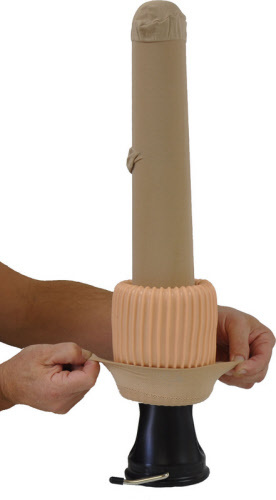 Helps patients with limited dexterity and fits various body types. Extends the life of compression garments. Glides compression garment over wounds to prevent discomfort. Works with all styles of compression garments. May be used for self donning or for caregiver use.